Happy Humpday fashion lovies! I hope everyone is enjoying their week so far and as you may know or not know, it is unofficially Summer! Not that I am any excited about it due to the fact I hate the Summer (sorry, but not sorry). Anyways, I have just come back from England last Saturday and I most certainly want to go back. Didn’t get the photo-shoot I hoped for during my stay. But hopefully, once again I will travel back there this year. I am still finishing up this “Spring cleaning” series for you guys so I hope you are enjoying them. So let’s get to it! I want to say this is definitely one of my favorite looks I had put together. Funny thing is, I had a bit of trouble rallying up this look. I mean, who doesn’t go through that. But I guess that’s when the best looks come together and surprise yourself of how great it turned out. I started out with this long time mesh cotton blouse which I love because of the gold accented neckline and cuffs. Honestly, I can’t remember what brand it was. It was a gift and I had cut off the inside tags because they were remotely annoying under the shirt. I layered this top with a checkered blazer (love this jacket) and paired it with an olive green jogger pants. It is a favorite of mines because it’s comfortable and you are able to dress it up or down. 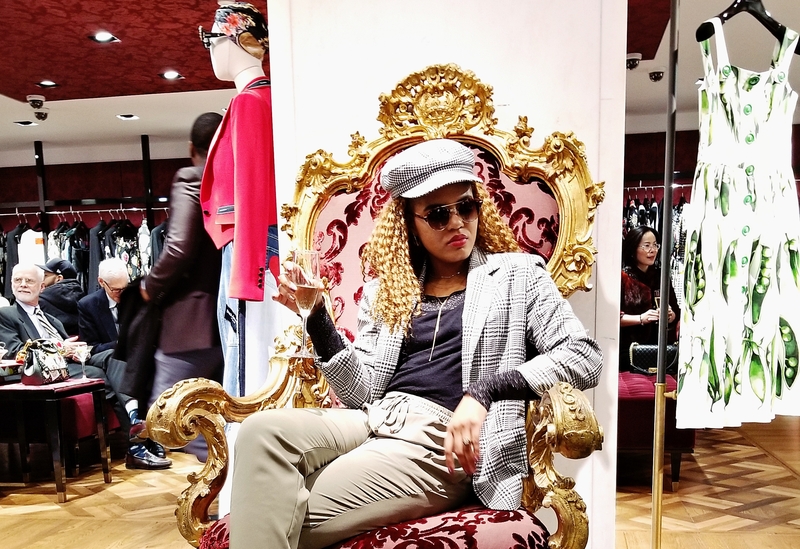 I threw on a paired of white booties and a checkered newsboy hat to match the blazer. As for the bag, I wanted another earth tone color to balance out the olive pants so I grabbed my chic cognac satchel to go. And there you have it; another Spring cleaning look for your meticulous eyes. What surprised outfit did you put together that came out great? Comment below! Stay tuned for the next one. I have a couple more to share! Thanks for reading and Happy Styling!